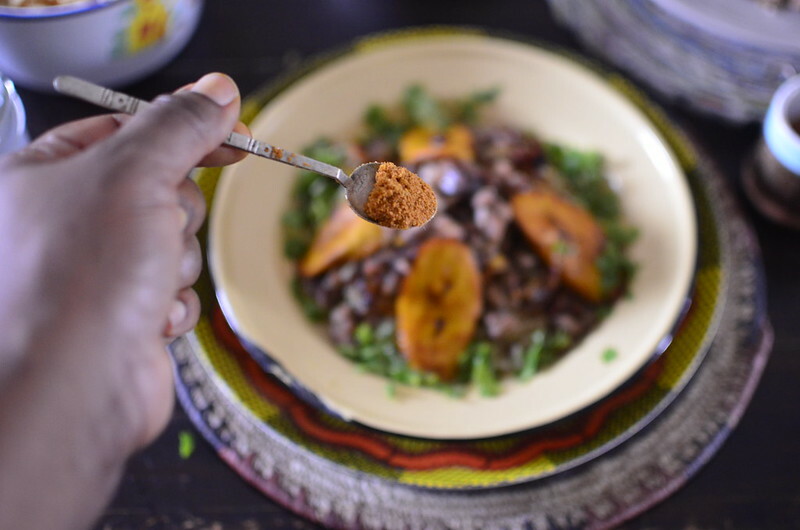 I don’t know if GarauGarau originates from Garau, a place in Yobe state in the north of Nigeria but this rice dish is delicious and worthy of being the flagship dish for any city, state or region – in Nigeria and beyond. It reminds me of a similar-named dish in Indonesian Cuisine, Gado Gado, which I’ve enjoyed for its mix – rice and vegetables with sate. What’s special about this? 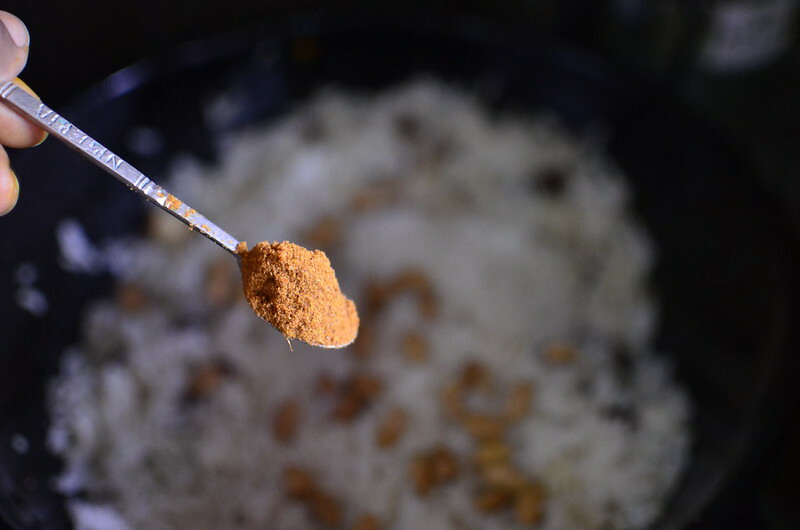 Well, it involves yaji and rice, did I mention quick and easy? 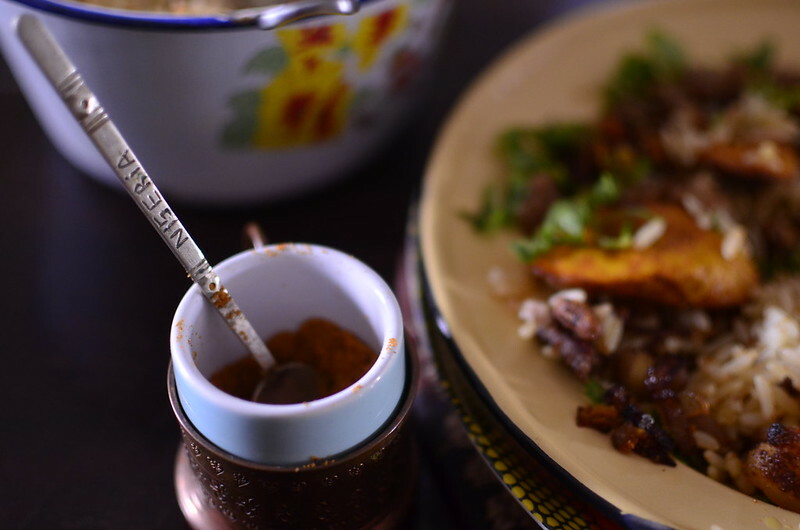 Y’all know I’m a big fan of yaji – suya spice so when I discovered I could make a Fried Rice’esque dish with it, I didn’t wait. I got right in there. 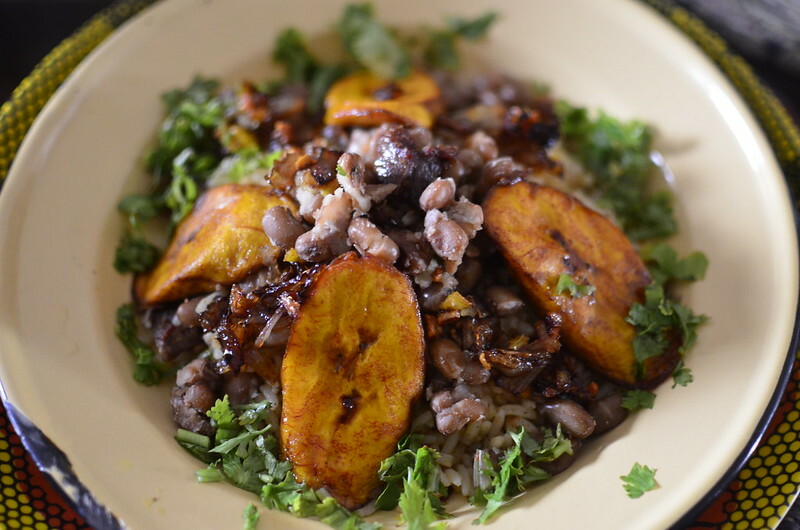 Inspired by 1Q Food Platter’s post, and the comments of her readers, I made sides of steamed honey beans and plantain. Then I decided that cilantro would be peach with it. 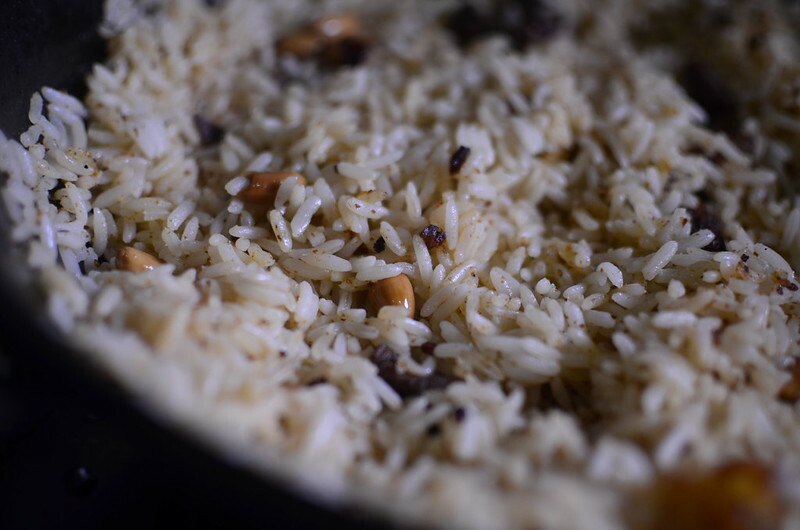 To make the rice, I stir fried my leftover suya in a touch of oil and added some peanuts and rice. When it was almost cooked, I sprinkled some yaji over the top. 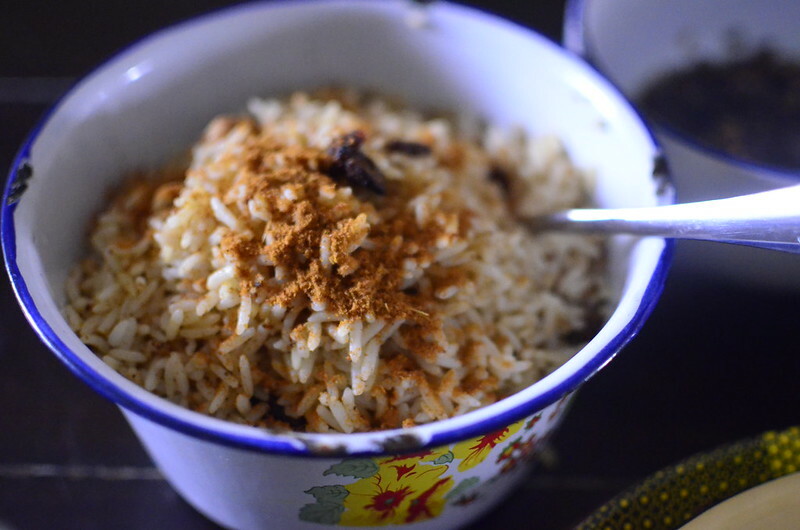 To finish off, I piled it into a bowl and topped with more yaji. 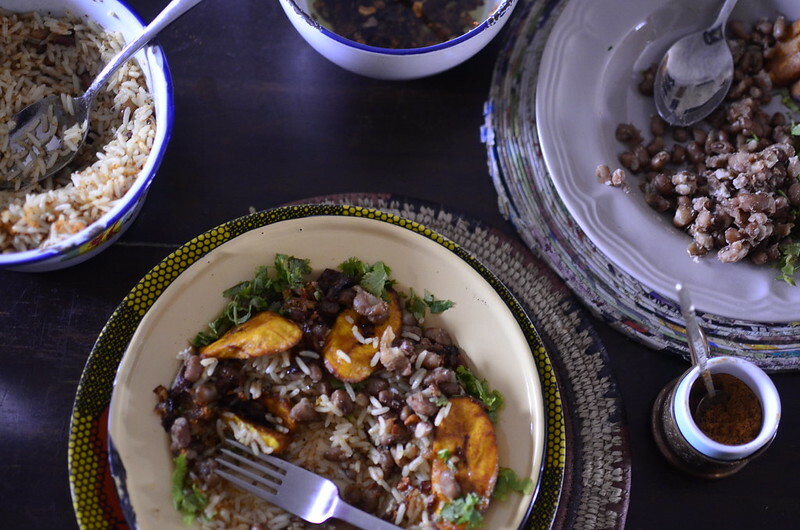 To serve – I piled my plate high with rice then built a tent of plantain and beans, with cilantro for a hedge of protection. The final elements? Crunchy bits from my flavoured oil and some more yaji. 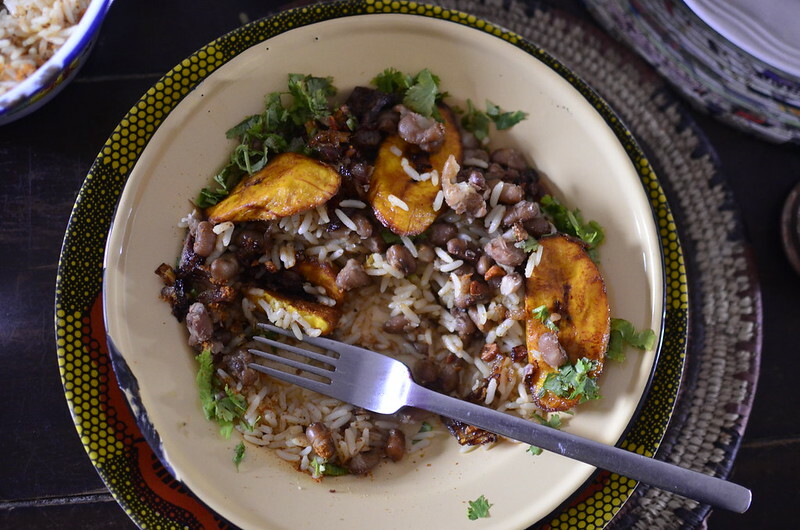 It was delicious – the spiced, fried rice with nuggets of meat and crunch from the peanuts; The soft, sweet beans and the plantain and the herbiness from the cilantro. I served extra yaji on the side. 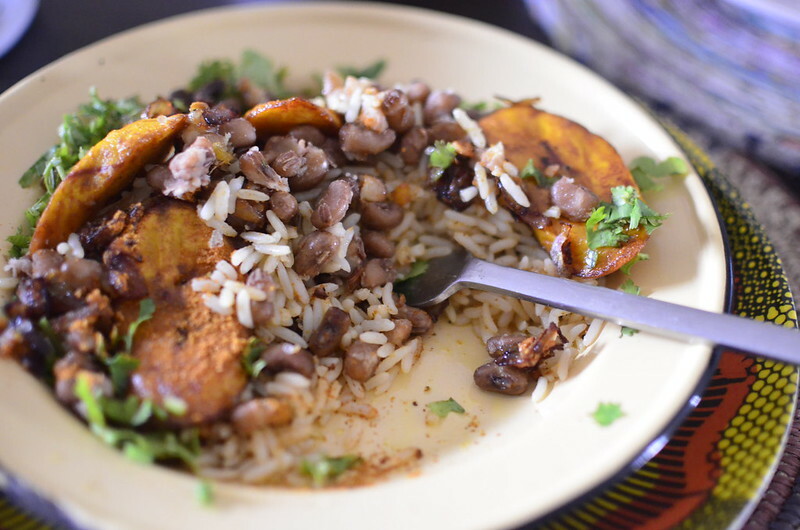 Delicioso – I’ve always loved the combination of rice, beans and plantain and this is no exception. 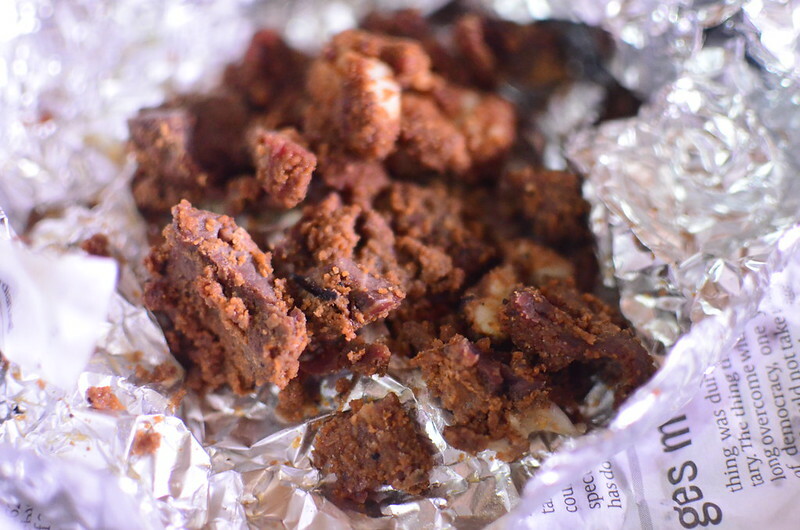 Have you had this before?